At the Feb. 6 California Fish and Game Commission meeting, the commission will be taking public comments to determine whether listing Upper Klamath-Trinity river spring Chinook salmon as an endangered or threatened species under the California Endangered Species Act (CESA) may be warranted. This potential listing could have far reaching financial impacts within our community. 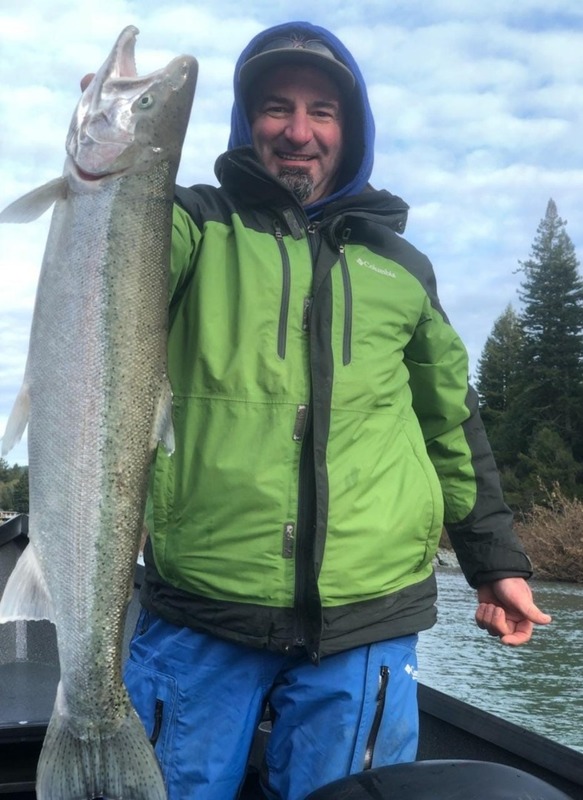 Repercussions could range from no fishing on the Klamath from Jan. 1 through Aug. 14 to catch and release during this time period, essentially shutting down our winter and summer steelhead fishing as well as the estuary fishery. The fishing community is encouraging anglers to attend the meeting in Sacramento on Feb. 6. If you can’t attend in person, you can send public comments on this agenda item via email to fgc@fgc.ca.gov. You can also mail your comments to California Fish and Game Commission, P.O. Box 944209, Sacramento, CA 94244-2090. The Written Comment Deadline for this meeting is 5:00 p.m. on January 24, 2019. Written comments received at the Commission office by this deadline will be made available to Commissioners prior to the meeting. The Late Comment Deadline for this meeting is noon on February 1, 2019. Comments received by this deadline will be marked “late” and made available to Commissioners at the meeting. For more information, visit https://nrm.dfg.ca.gov/FileHandler.ashx?DocumentID=164452&inline. The meeting will be live streamed; visit www.fgc.ca.gov the day of the meeting. CDFW and RMI Outdoors, in conjunction with the annual Humboldt Steelhead Days Fishing Contest, will be donating a trout pond and live hatchery-raised fish where anglers of all ages can learn how to catch a trout on Sunday Jan. 27. The fishing event runs from 10 a.m. to 2 p.m. in Blue Lake at Prasch Hall Community Center at Perigot Park. There will roughly be 200 fish to catch, so first come first serve. There will be six stations at the trout pond, and each kid that catches a trout can take it home. This will be an indoor/outdoor event, rain or shine. 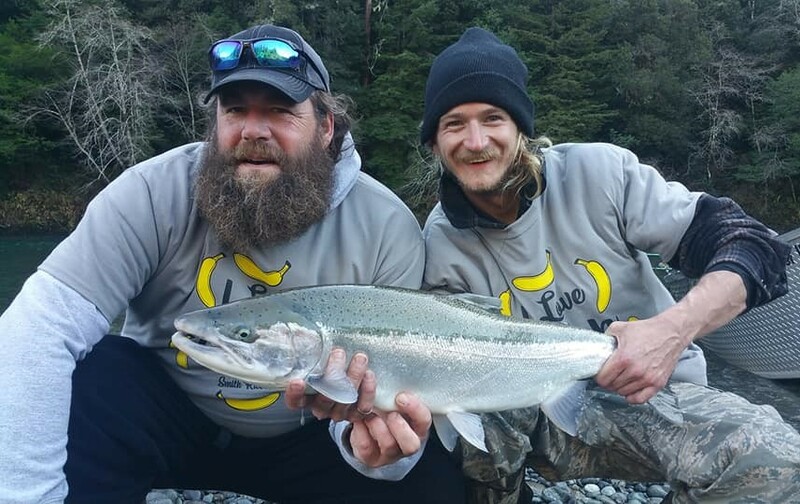 Visit www.humboldtsteelheaddays.com/event/kids-fishing-event/ for more information. The Smith fished really well on Wednesday according to guide Mike Coopman. He said, “There were fish from the top to the bottom, and it seemed like everyone was catching a few. The boat pressure was high, but it didn’t seem to deter the fish from biting. The river was still a little high, running right around 11-feet when we started. 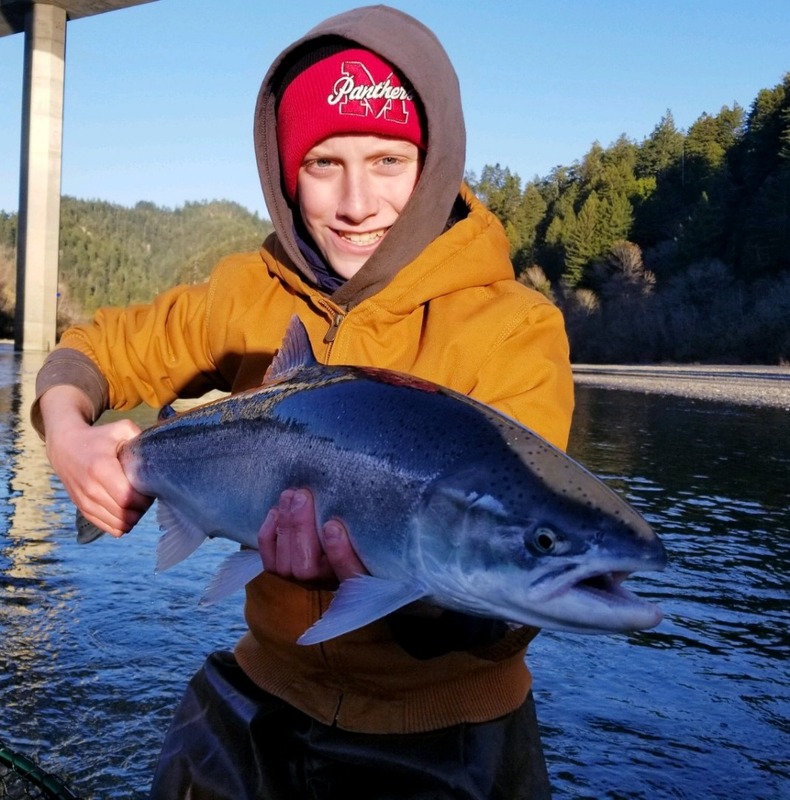 With no rain in the forecast, the river will begin to drop and clear and the fishing will start to get a little tougher, but it should be good for at least the next few days.” Flows are predicted to be right around 9-feet on the Jed Smith gauge this weekend.